Teadogs – back by popular demand! 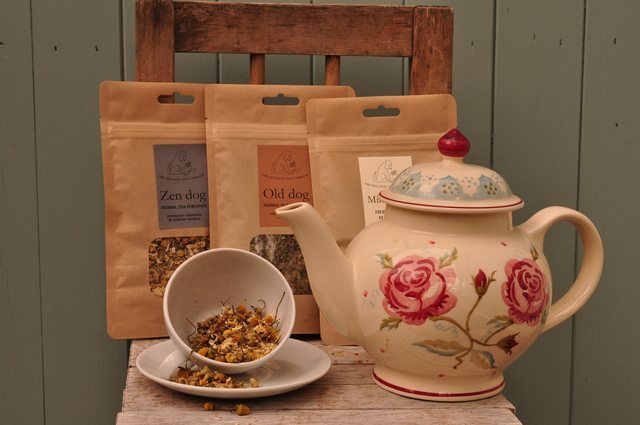 We are delighted to announce the re-launch of our original range of herbal teas for dogs – Teadogs. These are caffeine free, 100% herbal, teas for dogs. They are made up just like herbal teas for ourselves, but can be added to your dog’s food (no need to strain them), so that he or she can get the benefits of a herbal infusion just like we can! Following recent research demonstrating the best way of delivering the benefits of botanical herbs to your dog, we have developed our brand new range of herbal Sprinkles. 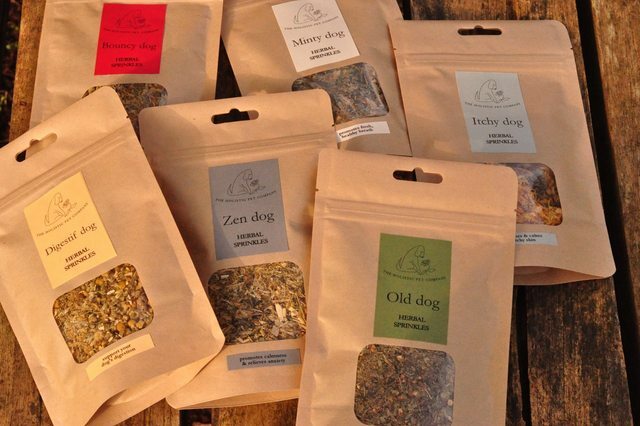 These unique, 100% organic, veterinary formulated pouches of dried herbs can simply be sprinkled onto your dog’s food. This means that you’ll be able to offer your faithful friend whatever benefits they need, easily and effectively whenever they need it. 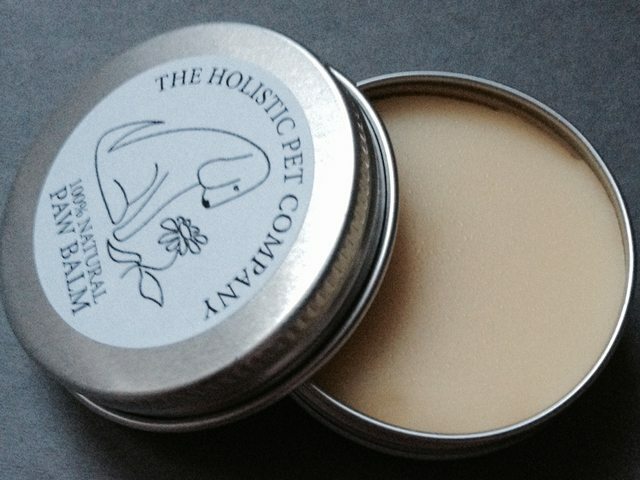 We are proud to announce the launch of our latest product, paw balm for dogs! This organic, vegan, 100% natural balm is made with a luxurious blend of organic coconut oil, almond oil, beeswax, shea butter and essential oil of orange. It is especially formulated to heal and protect rough, chapped, or dry pads. 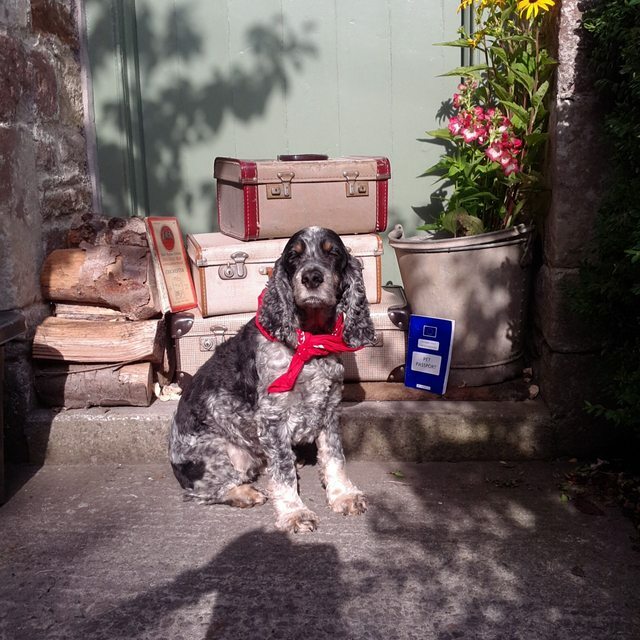 Making sure that your pet has a safe and comfortable journey when you take it on holiday is crucial; whether you are travelling by car, boat or even plane! On long journeys in the car, try and stop for a break so that your dog can stretch his legs and empty his bladder and have the offer of a drink, every two hours or so (more often in hot weather). It is also a safe precaution for him to wear a seatbelt in the car or to travel in a crate in the boot. Cats should be secure in a carrier that is large enough for them to be able to turn around comfortably. You can also use a drop of lavender on your pets travel blanket - to help them to sleep and relax during the journey. The first thing that people comment on when they see my cats, Charlie and Gibson, are their beautiful shiny coats. I then go on to explain that we make their food and their shiny coats are only part of the benefits of my cats’ diet. 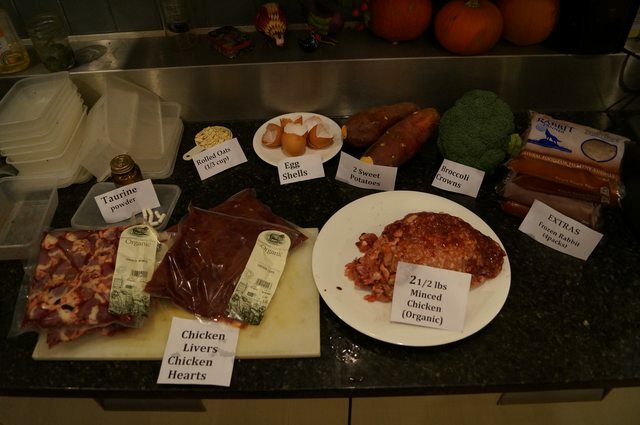 It’s strange, but very few people who are cat owners seem the least bit interested in hearing more after my initial foray into the importance of a healthy raw diet for cats. As a transplanted American, it is even stranger to me since there is a good deal of interest in healthy pet food in the States (and a more natural raw diet for cats). But, as always, I find cultural difference interesting, curious, and surprising. Ever heard of a mobile cat vet? Neither had I. But seven years in general small animal practice taught me that it was something that the feline population might appreciate! Being dragged away from their warm bed, shoved into a basket, driven in a car and placed in a room full of barking dogs is not exactly their idea of a good time. I’ve always loved cats, and the more I learned about them the more I grew to respect their particular needs, both physically and mentally. So, when I finally got the opportunity to start a practice of my own, I knew it had to be a home visiting service just for cats. 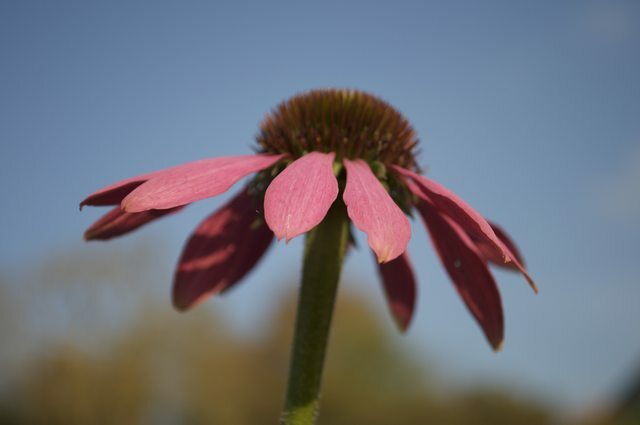 Echinacea is popular at this time of year when it is widely used to strengthen and support the immune system when coughs and colds are rife; but don’t forget that this can be a useful herbal remedy for our pets as well. By planning ahead and using the following practical tips and natural remedies, you can help your pets to stay safe and feel less anxious on November 5th. Preparation is the key. Before the day itself make a den or nest area where your dog can retreat to and fill it with treats and familiar bedding. Cats will benefit from having plenty of different hiding places and don’t forget to put litter trays out for them too. You can also use a few drops of Dr Bach’s Rescue Remedy to help relieve anxiety, added to the water bowl or given to your pet on a treat. Use the herbal tonic Skullcap and Valerian, (available from Dorwest Herbs), to promote calm and relaxation. If you know how to, you can also use a Tellington Touch wrap or a T-shirt on your dog to help them feel secure. Finally, plug-in DAP or Feliway diffusers, (available from your vet), can help dogs and cats stay calm at this time of year. Winter is the season for blustery dog walks followed by crumpets in front of a roaring log fire, isn’t it? 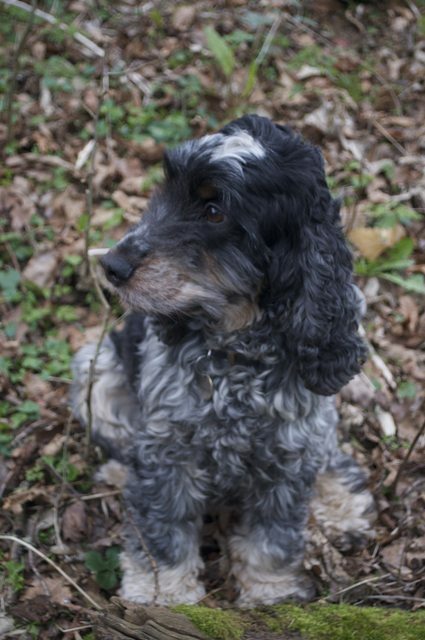 Well, it’s also the time of year when our ageing pets may start to suffer with their creaky, aching, arthritic joints. 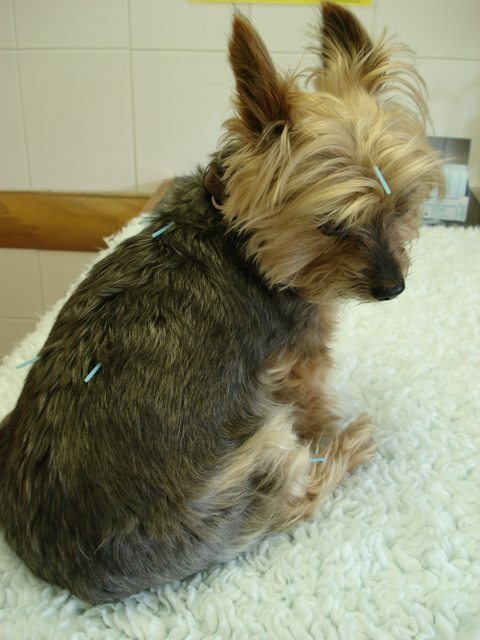 In this blog post we explain how acupuncture treatment can help your pet to stay comfortable and mobile during the winter months. 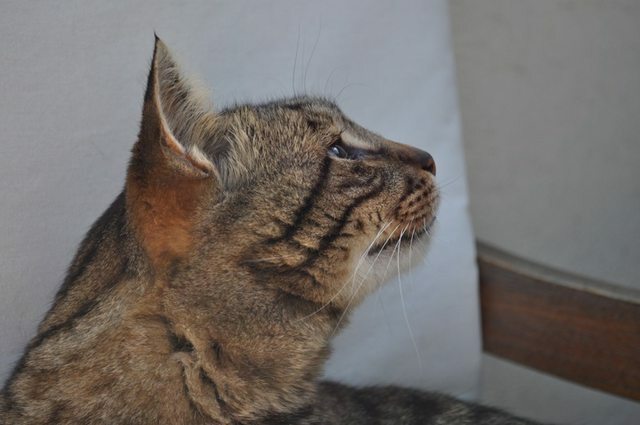 The first signs of ageing can start anywhere between seven and eleven years of age, with most cats entering their ‘senior years’ from around ten onwards. 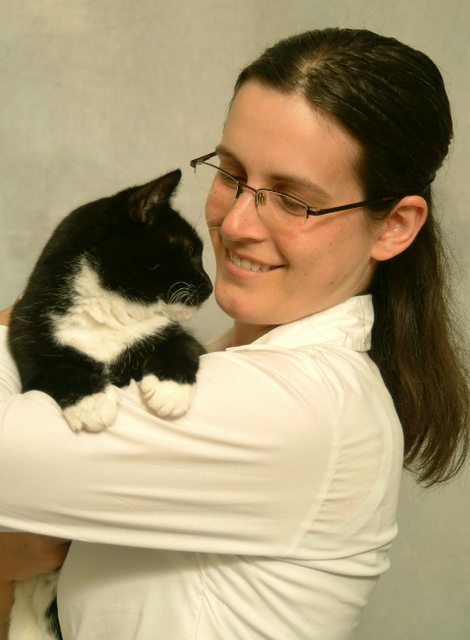 By just making a few small adjustments to how you look after your cat as they get older, you can make a huge difference to their quality of life. 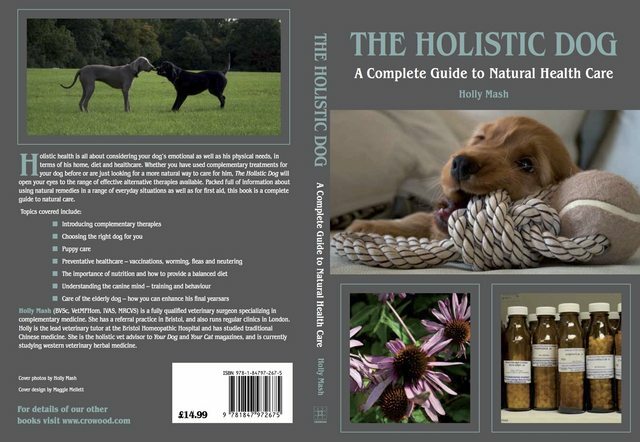 How could we have forgotten to put up a post about The Holistic Pet Company founder Holly Mash’s best selling book on natural dog care?! This book, published by Crowood Press in 2011, is a complete guide to natural care for your dog, packed full of useful information about using natural remedies in a range of everyday situations as well as for first aid. 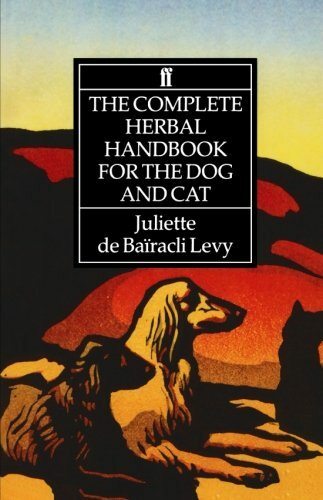 Juliette de Bairacli Levy was a pioneer of animal herbalism and travelled the world for over fifty years discovering the secrets of traditional herbal medicine for animals. Her book, The Complete Herbal Handbook for the Dog, first published by Faber in 1955, is a true bible for any dog owner who wants to use more natural methods and is a valuable resource even today. Chamomile - a true super herb! 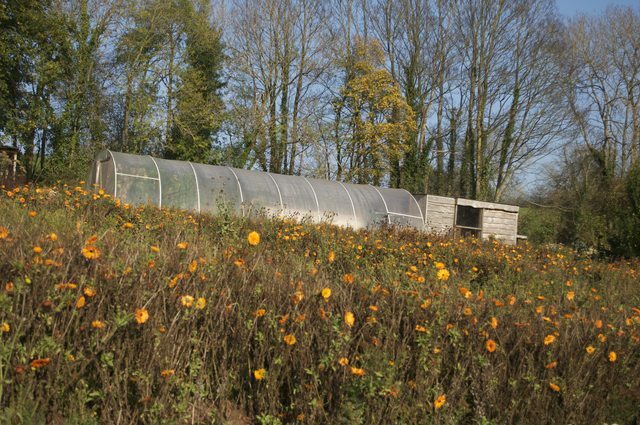 Chamomile deserves a special mention as it is has so many incredible properties. 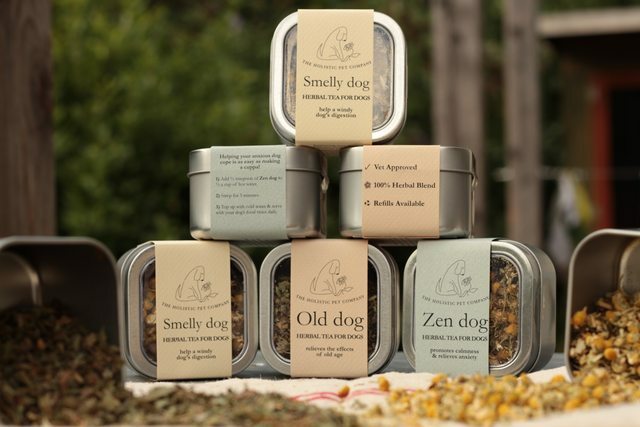 We use it in both our Zen dog as well as our Smelly dog tea, for it’s soothing, calming and anti-spasmodic effects that can help to ease digestive complaints. 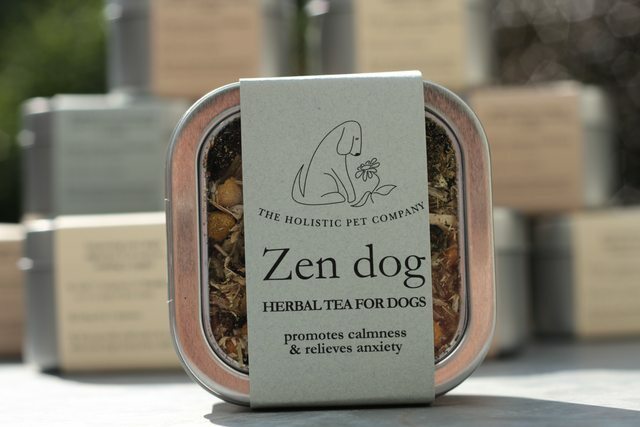 Our Zen dog tea is a herbal infusion especially formulated to promote calmness and to relieve anxiety. It can be used for situations that some dogs find stressful such as thunderstorms, fireworks night, trips to the vet or as an aid in separation anxiety. It also helps to promote a restful night’s sleep and can help dogs settle in to a new home or when at kennels. 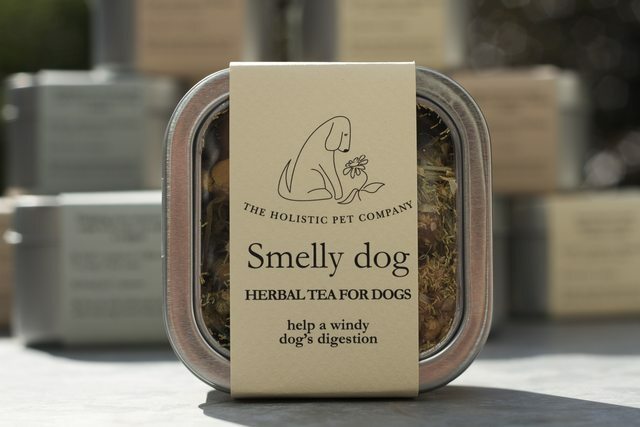 Our Smelly dog tea is a herbal infusion especially formulated to promote a healthy digestion and to help with antisocial, (and unhealthy), problems such as bloating and flatulence. Our Old dog is a herbal infusion especially formulated to relieve the effects of old age and to support your dog through their senior years. 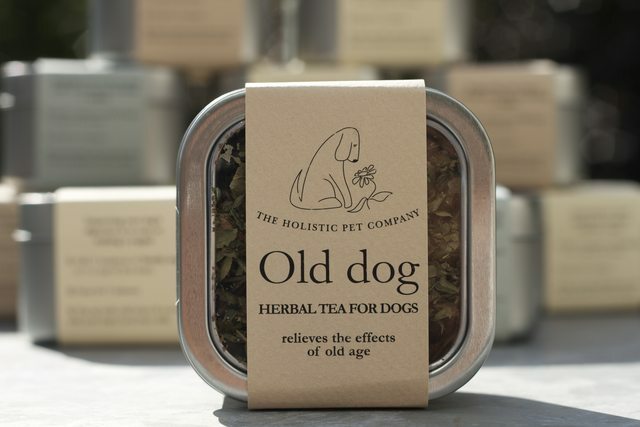 As the body slows down and the mind becomes a bit cloudy and confused, you can use Old dog tea to help your companion to cope with the ageing process as it affects them both physically and mentally. 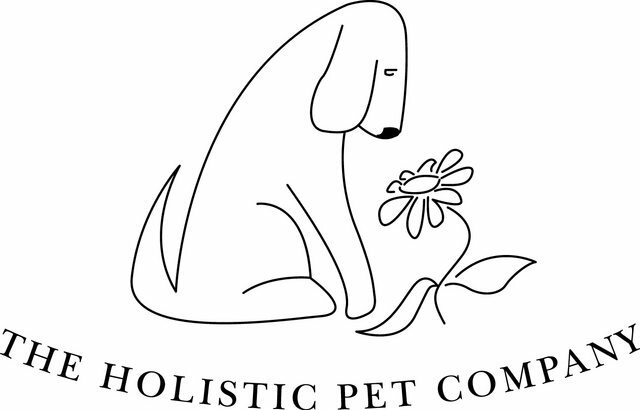 The very first batch of our herbal tea for dogs has been dispatched to Stripy Dog, a lovely family run pet shop in Westbury on Trym, Bristol.